We inherited a busy overgrown inner city garden when we purchased our house. We lived with the garden for 6 years before decided to do something about it. 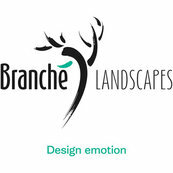 Our brief to Branche was to create a calm, peaceful and contemplative garden. Arnaud is a very intuitive and creative person and a good listener. He understands the brief completely. Apart from some small tweaks, we basically adopted his recommendations for the garden layout and the planting. And the result is amazing, well exceeded our expectations. He is an ultimate professional. He took us through the process and the cost structure in details and organized his team in a very professional and timely manner. We went overseas during part of the process and had confident in him and his team to deliver the result when we came back. We were not disappointed . We came home to a beautiful garden ! Every morning we wake up and look out to the beautiful garden and have this sense of joy before stepping out to the busy world.